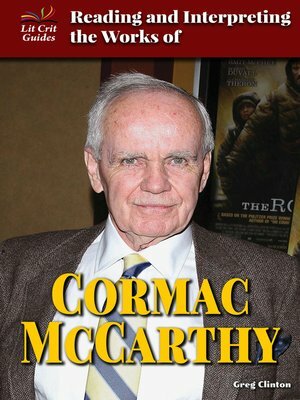 The works of Pulitzer Prize-winning author Cormac McCarthy can be described as dark, mysterious, and violent. His unique writing style and Southern Gothic, post-apocalyptic brand of literature defy classification and make for a challenging and thought-provoking read. This text closely examines McCarthy's recurring styles, symbols, and themes through excerpts from his books as well as critical analysis. Students will learn how to read and interpret McCarthy's complex works while they come to a greater understanding of one of America's most powerful writers.